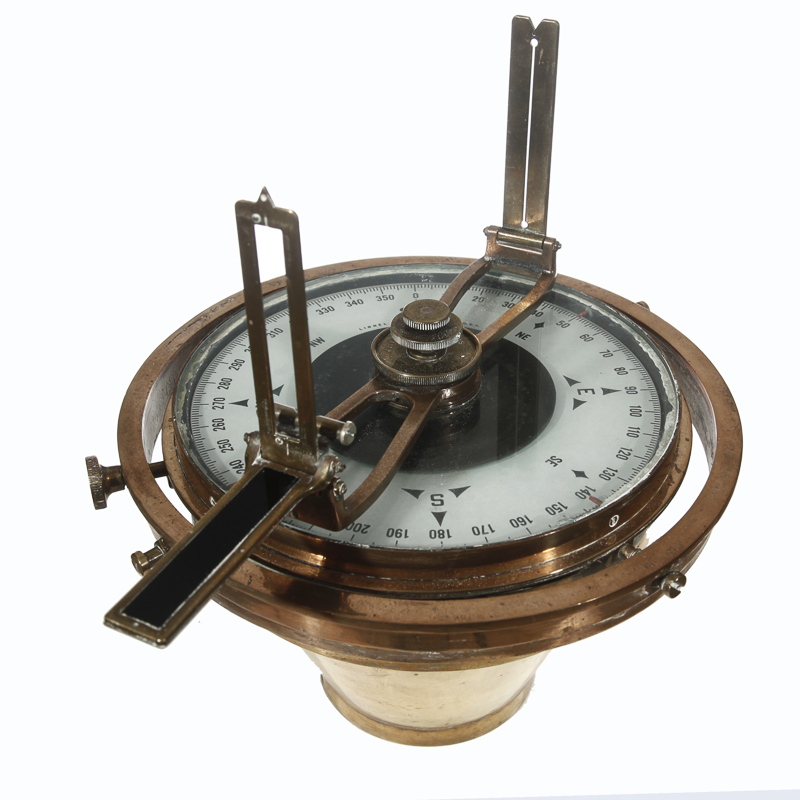 Brass ship’s compass, Victorian, cylindrical form, mounted on triple stepped mahogany wooden platform above a high ebonized wooden base. From the Posner Maritime Art Collection, SSHSA Archives. Scroll through the images below for more detail. 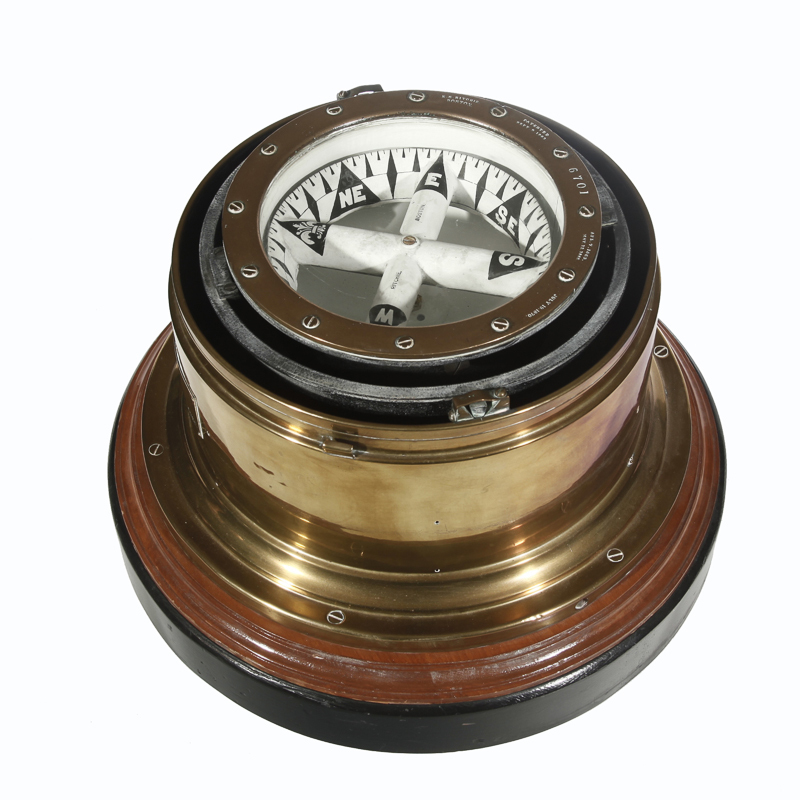 Bell metal and brass polaris, ship’s navigational instrument. 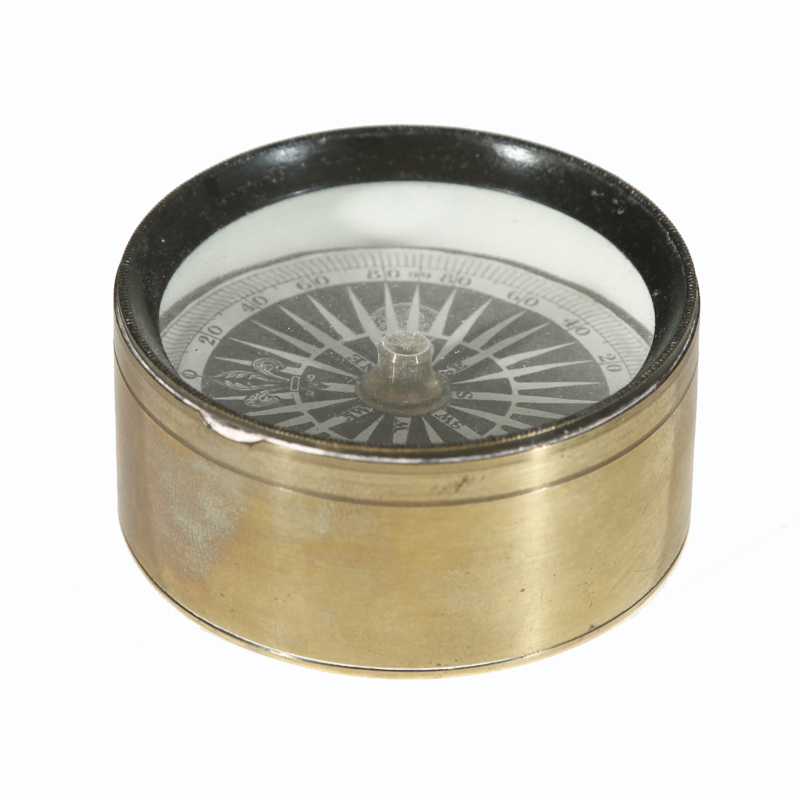 Small hand-held compass, brass fitting. 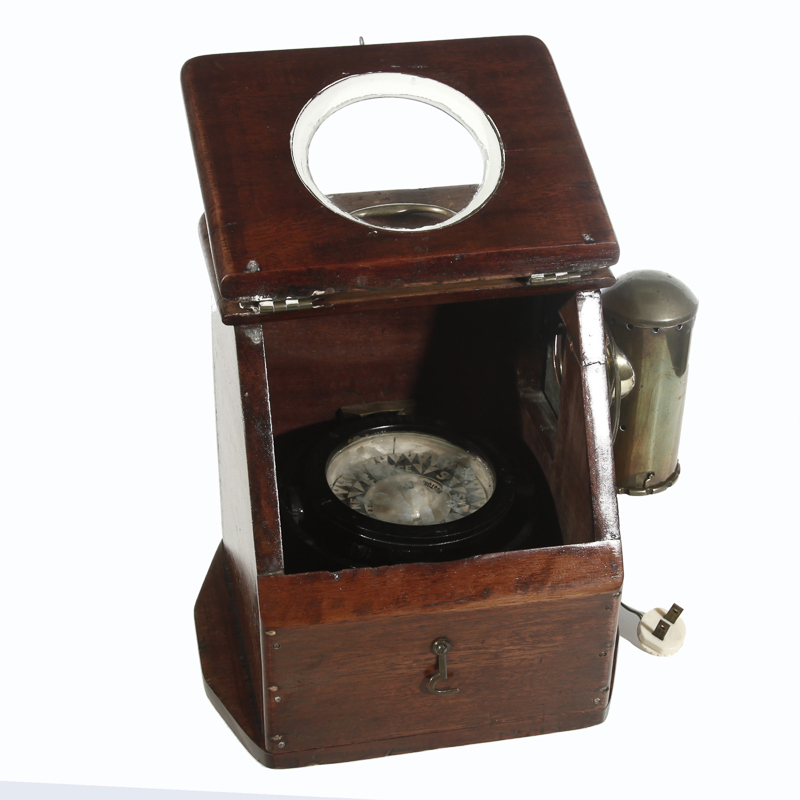 Portable ship’s compass, Victorian, mahogany case with hinged canted lid and glass brass bezel. This lifts to reveal compass within. Brass fittings, hinges, and bale handle. All images from the Posner Collection. What are some ways people navigated their ships before GPS? How did the Vikings know if land was near? Time and Navigation, STEM in 30, PBS Learning Media.